On Friday January 26, 2018, the Polish Parliament, by a vote of 297 to 5, approved a controversial new law forbidding any mention of participation of the “Polish nation” in crimes committed during the Holocaust. The law still needs final approval from the Polish Senate and the country’s president, Andrzej Duda. 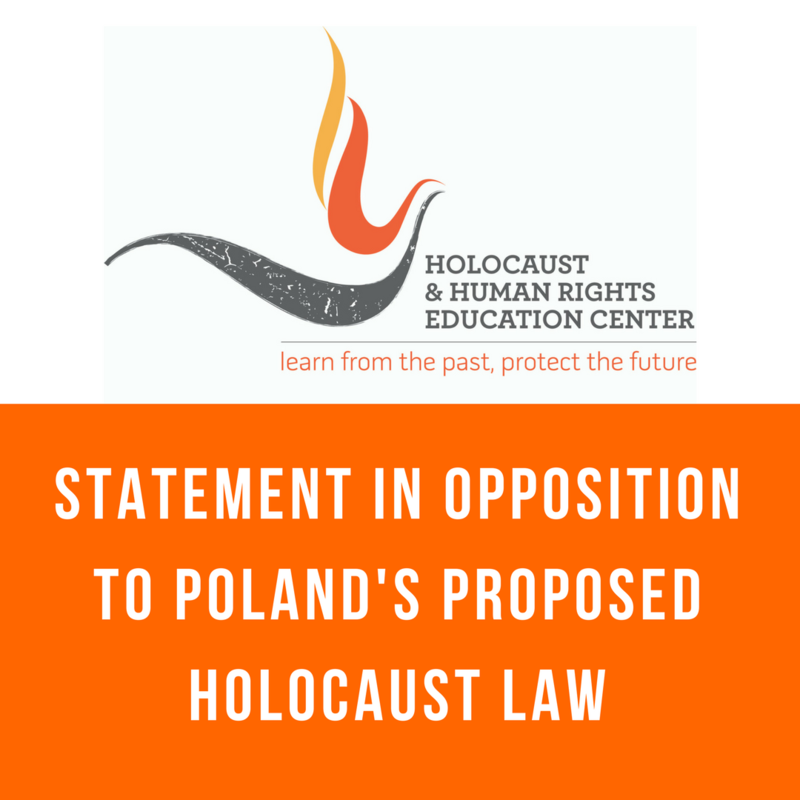 The law prescribes criminal proceedings for individuals or organizations who allegedly defame the “Polish nation” by assigning guilt or complicity to Poles for Holocaust crimes committed on Polish soil. In addition, phrases such as “Polish death camps” as reference to the killing sites Nazi Germany operated in occupied Poland during World War II may be punishable by three years in prison or a fine. Laws are not enacted in a vacuum. The current government is determined to rewrite history. At a November 17, 2015 conference called by President Duda, representatives from Polish museums and other cultural institutions were instructed to stimulate Polish nationalism and discard accounts that shamed Poland and its people. During the coming week, Israel’s ambassador to Poland, Anna Azaria will hold meetings concerning this new law with Prime Minister Mateusz Morawiecki as well as with President Duda and the Polish senate. The Holocaust & Human Rights Education Center encourages this initiative. We cannot let the forces of divisiveness, fear, and intolerance control the narrative. We must insist that history not be rewritten or revised to suit an agenda. It is our duty to learn from the past and protect the future.